Posture is always a main focus with this exercise. As you lower the body into that tabletop position, gravity wants to round the back and shoulders. Maintain a position with the back neutral and shoulder blades pinched back. If balance is an issue this exercise may be too advanced, or you could try standing closer to an object that you could rely on when things get shaky. 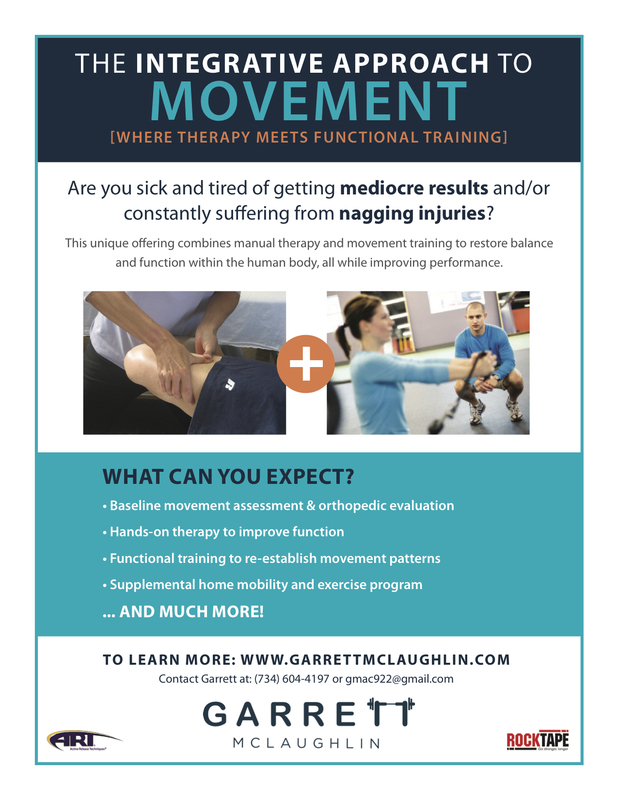 Garrett McLaughlin is an athletic trainer, and personal trainer who enjoys making a lasting impact on people’s lives. He creates individualized exercise programs aimed at improving movement and achieving his client’s goals. Contact Garrett for more information.